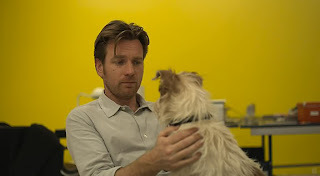 Beginners, a new film from Mike Mills and starring Ewan McGregor, is in no rush to get anywhere, while jumping all over the place at the time. The film’s narrative zooms back and forth in time, from childhood, to middle age, to a slightly older middle age of its protagonist, the sad but lovable Oliver, but does so in a casual business. This is the same way that Mr. Mills approaches the quirk side to his film—a series of Wes Anderson-styled cutout shots, a dog that talks through subtitles, and a manic pixie dream girl played by Melanie Laurent—but without calling attention to itself. What separates Mr. Mills, whose last film Thumbsucker was a bottle of quirk mixed in with teenage angst that came out as a mess, from other quirk directors is the melancholy he brings to Beginners. With its autobiographical touches, the film reaches out with a slight hand to grab you into its narrative, but it never forces you into a world of farce. It instead soothes you into its story of a man essentially trying to find himself and connect to others in the process. The film is fairly successful in its attempts to win you over, thanks to Mr. Mills’ lucidness in his screenplay. The film opens with Oliver cleaning out the home of his father, Hal (Christopher Plummer), after he dies of cancer. But Oliver is still trying to come to terms with his father’s identity, who came out as gay at the age of 75 after Oliver’s mother died. From there, the film intercuts between three separate paths, as we see Oliver as a young boy and the memories of his mother, Oliver dealing with his father’s new identity as well as slowly growing cancer, and his time after where he falls for a French actress (Ms. Laurent). Mr. Mills might stage his film as an identity crisis film, and the autobiographical nature of it may answer why certain choices were made (Mr. Mills’ father also came out as gay late in his life, and before becoming a filmmaker, he was a graphic designer like Oliver), but it’s the smaller moments of joy that ring out. A flirtation between Mr. McGregor and Ms. Laurent is perfectly played in a scene where her character suffers from laryngitis and is unable to speak, and any scene with Arthur, Hal’s dog, is automatically excellent simply because that dog is the most adorable dog ever. Unfortunately, the film’s ideas on repression, whether gay or Jewish, seem a little too locked in as if Mr. Mills is reaching for something above the small ambitions of most of his film, and while the camera delightfully gazes on its characters with a nice soft light (beautifully photographed by Kasper Tuxen with a digital RED camera), the sparks of real anger, and thus real emotion never spark—a big fight between two characters is silenced so we can only see them arguing, but it feels like a cop out, as its hard to see what could actually drive these two apart. Plus the ending? The same one you’ve seen repeated in every independent film since Alexander Payne’s Sideways. 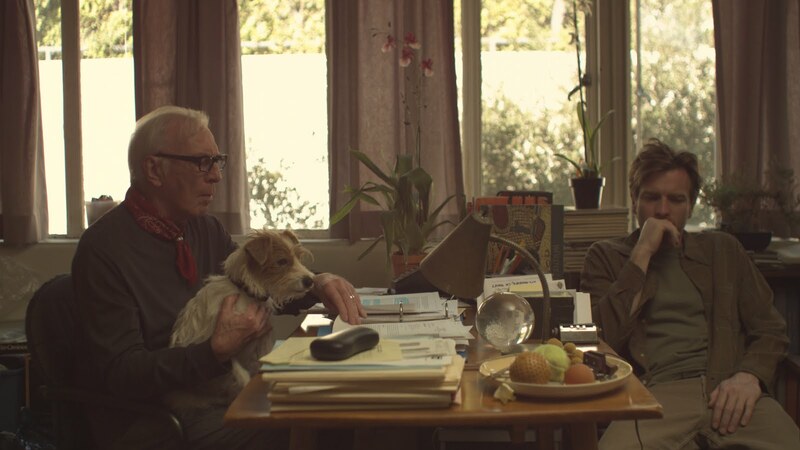 However, Beginners grasps for life, any life, with such a spirit unlike any other film, and Mr. Mills finds a unique voice to explore the world of his own life, without being big or excessive, but simply living in the moment of quiet triumph.